If you ask me I will tell you that politics is the most successful business in Nigeria today. Everything else takes backseat because politicians make sure they bring politics into everything we do. But will this stop anytime soon? One thing must be made clear to the young generation, a ‘’siddon look’’ attitude will take us no where. I was glad to have seen thousands troop to Ojota during the #OccupyNigeria protests in January. But, during the 2011 elections, as I worked as an observer, it became apparent that despite the fact that more than 70% of the electorate was below 35, young people were in the minority at the polls. The elderly, however? They came out, and they waited under the sun for hours. But I digress. 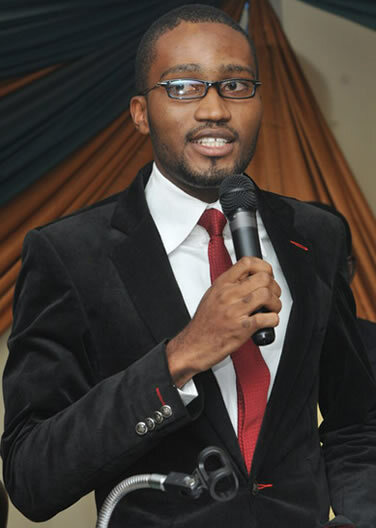 My friend Ohimai Amaize is the reason I write. Campaign Manager for Dele Momodu of the Labour Party during the 2011 elections, he was a staunch critic of the People’s Democratic Party and its candidate, Dr.Goodluck Jonathan. A lot of water has gone under the proverbial bridge since then and he is now Special Assistant to a Federal Minister under a PDP government. On Saturday 24 March, during the convention of the People’s Democratic Party, he “issued” a Tweet that launched a thousand criticisms. @MrFixNigeria ‘’Who’s watching the PDP National Convention on NTA? Great Party’’. Not surprisingly, the reactions were as vicious as most were bitter – it wasn’t just that the critic was now the praise-singer, it was the use of the word “great”. · Increased Percentage of Nigerians living in absolute poverty – those who can afford only the bare essentials of food, shelter and clothing – rose to 60.9 percent in 2010, compared with 54.7 percent in 2004, the national bureau of statistics said in 2010. Poverty in Nigeria is rising with almost 100 million people living on less than $1 a day, despite strong growth in Africa’s second largest economy. @MrFixNigeria Yes, I’m a card carrying member of the PDP. How does that make me less a Nigerian? The issue more important than which party is greater is the fact that change agents need to now begin to occupy the political parties with the same gusto Ojota was occupied if we truly want that dream Nigeria. The idea of discouraging people, especially young people, from becoming members of a political organisation will take us no where as a people. So, it is cool to be called an ‘’ACTIVIST’’, and it is cool to be called a public ‘’COMENTATOR’’, but not cool to be affiliated to a political party; the very place where this “change” is cooked? Give me a break. I call to mind excerpts from Chude Jideonwo’s speech at The Nigeria Symposium for Young & Emerging Leaders last week: “And that is the real tragedy; that you can look at the young people around you – those in government, those in the opposition, those who are critics – and sadly not see much difference from the past. We see our friends who get into government and become just like the rest of them, members of the opposition whose principled disagreements cease soon as they are given a seat at the table; we see critics who choose sensation over sense, bombast over engagement, and insults over nation-building. Essentially, by observation and interaction, we have become like those fathers’’. Bombast over engagement. Truer words have never been spoken. Will anger alone save Nigeria? The rants took us to Ojota yes, but they will not take through the fixing of bad roads or securing of constant electricity. Of course, first the assumption is faulty that all young people are change agents, but if that were the case as many seem to believe, then we need a critical mass of young people to flood the parties and begin to restructure the ideologies. We cannot continue to allow our “great grand fathers” decide for us any longer; and ladies and gentlemen, the game starts from the party level. As I write, they are meeting to strategise on how they would continue to preside over our affairs beyond 2015, perhaps daily, while we keep getting medals for who can be angriest. When are we going to the message? Bottomline? People need to go and pick up party forms and whatever way we can take over the political space from the unsavoury elements that now occupy them. As far as I am concerned, there is no functional ideological difference between any of the political parties, from the Action Congress of Nigeria to the People’s Democratic Party. That, is the real problem. So we should learn to encourage the members of our generation who take this urgent step rather than cast aspersions on those who shw interest in our imperfect politics. They have no choice. You want the youth of the National Union of Road Transport Workers to keep representing you in the political space? Well, then you deserve what you get. We can’t continue to watch the nation’s destiny decided on television. It is not enough to criticise the modus of the ruling party. It is time to get in and fight for what we believe in, if indeed we stand for something different. The #Occupy movement must now urgently lead us into the political parties. We must make the different political spaces uncomfortable for the present cabal. We must move away from a government of probes to a government of probity. One that simply does the job it was employed to do – to serve the interest of the public. Unless we realise how cheap our talk is, we will never see the Nigeria that we talk about. I know we can do better. I know why this article inspires me to chuckle…..because it is 4 years too late for April 2011 elections and fast becoming too late for 2015 elections. Without being a PDP supporter,I voted for GEJ because I didn't buy into the "Any government but a GEJ/PDP goverment " by the so called opposition. I also do not believe in sensational activism, what happened to being unbiased and objective? The writer talks about the increase in poverty in the 10 years of PDP as if poverty was alien to Nigerian prior to 1999. Activism & ranting aren't political strategies, you'd have thought those who have thousands of followers/friends on Twitter/Facebook and know exactly what is wrong with Nigeria (And her leadership) would already know this. PDP is a party of strange bed fellows, within the party there are useless goverment officials just as much as there outstanding public administrators. Agree or not, there are only 2 political parties in Nigeria – PDP and the rest. We've got 3 more years to the next elections but what is the political class of the opposition busy doing? There is more ego within the opposition than there is within the PDP. Rather than focus on our individual/collective plans with respect to driving change in 2015, we are more keen to discuss who has joined the government and the PDP party…….just like small minds. Mercy Abang, I hope u ve paid attention to some of the sense some young Nigerian with altruist tendencies have given u? I hope ur article was also because u had not thot about some of the issues thoroughly. What is bad, is bad, even if it produces good. to suggest that the only way for young people to participate in the political landscape is to chuck their consciences and join parties whose fundamental values are grounded Avarice and corruption is to limit the varying is to limit ur fecund mind. The 20 million youth for 2015 is one way,d so called staying by the sideline and criticizing is one way to act as a watch dog, and u of all people should never underestimate d efficacy of d watch dog. look how aware these rulers are of the "young people" because the social media let them watch, criticize and then set agenda. i like very much how this comment sums it up "Thinking about what you suggest here, maybe we should all join – sorry, OCCUPY – Boko Haram in order to effect the changes we seek from within. After all, what would it take? Just bomb one or two schools and call it a ‘Great group’ on some DVD. Plus, take all d break u want. Folks like you who play the "now the government knows we are watching them" or "The government can no longer ignore us because we now have a voice" cards astound me. In the face of the enormous challenge facing us to change Nigeria, how can such lowly outcomes be eagerly accepted and thrown about as if it were an achievement?????? The government hears our voices and so what? Under what framework do/can we hold them accountable and responsible? The fact that a person listens to your grievaiance doesn't mean they are bothered about it. That the government listens or know that we are watching is a given or simple put, a mute point. So is mercy a guy? So joining a political party like PDP is the only way change can be made? Your whole write up is pinned on the theory of 'if you can't beat them you join them'. I am curious to know if you asked you dear friend what changed over 11 months or so since he lambasted GEJ & PDP? Of course it matters not to you, does it? So I'll ask you if it'll be okay for your friend to jump ship again if per chance ACN becomes the ruling party in 2015. Would he still be willing to 'fight' for change as a PDP member in opposition? There are many who fought for freedom, liberty, change… many who where incarcerated, murdered etc… these men did not feel the need to dine with the devil to effect change, they kept 'him' at arms length and kept doing their thing. Now Ohimai will join the many who where too short sighted and greedy, unable to resist the crumbs that comes with being a tool for further destruction, hence why he calls this inauspicious behemoth that is PDP a great party – He has been indoctrinated. And i see that you are not far off from this feeble justification you've penned out. You talk about the OJOTA rally; i ask you if your dear friend was amongst the sea of faces protesting? No, he was busy defending this Great party and govt with his silence. So much for change from within. You fickle 'activists' come political jobbers and opportunists. Why Nigerian youth bother to criticize beats me as they are unwilling (or is that unable) to do any different than those they are criticizing. Is it that there is only one way to make impact? And that way is yours and no other? I think this young man has more courage and foresight in his tiny finger than all the affronted youths on twitter put together! Change happens when people make decisions that may be unpopular but sound. By the time these angry youths choose to join PDP (yes! some will!) or some other party, they will have to line up behind him and take a number. Who says PDP is the best? But if you will join, it better be 'great'. Not sure what his reasons are, but if change must happen, more doing has to begin and if the doing is to become elected, the best place to start is the ruling party!Ten thumbs up MrFixNigeria….I see why you have that name! @MercyAbang: Thinking about what you suggest here, maybe we should all join – sorry, OCCUPY – Boko Haram in order to effect the changes we seek from within. After all, what would it take? Just bomb one or two schools and call it a 'Great group' on some DVD. Agreed young people must get into the system thru the parties! But pointing all accusing fingers at the PDP is what I frown @! As far as I know there is no superior ideology on any other platform!the party has a lot more members than any other which explains its popularity! It is better off in all aspects including resources! The best we can do as young minds is to get into the most popular van and induce the change we want! That is an effective way and stop vexing if the PDP brags about 50Years, even wrestlers and boxers and banks and schools brag about their strength! The fact that Ohimai, or anyone after him who will do the same, joined the PDP is not a problem. Under normal circumstances it is welcome. The problem here is the sudden change from having a problem with PDP's ideology to suddenly openly hailing them as a "Great Party". Was that public pronouncement a ritual he needed to get done so as to prove to his new patrons in the PDP that he has denounced his disagreement with their ideology? Young people need to be careful of something, we need to be very careful not to lose the advantage we have managed to gain by the mindshare that social media has afforded us. We have never been this powerful enough to have what it takes to force change. But if we continue to throw up elements like Ohimai, backed by sly elders like Dele Momodu, who play on people's belief in their resistance to the establishment and the questionable wish to effect change, to project themselves to positions where they can eat from the honey of the land, we will only be growing an army of disillutioned and weary people. People who do not trust their leaders. That kind of development will in the end keep us shackled to 60 year olds who occupy the position of "Youth Leader". I've always been of the school of thought that 'bad things happen(keep happening) when good men do(say)nothing'. Then again, I think it's imperative that before one joins a movement, whether 'great' or 'small', one must first check the values of such a body, group, party, entity, whatever. Calling PDP great, in the face off all the crap they've dealt on this country, that's just …. Even if one has a 'personal' agenda for CHANGE, halt on complimenting the rotten apple for still being able to give off 'hey though rotten I still smell like an apple', to first, planting your 'fresh' apple seeds, nurturing it to maturity, and then saying 'viola! It smells like an apple, even better, it is fresh'. Bottom line: don't celebrate new wine in old skin. Wow! In several months I am just reading something that I think will help a great deal. tweeting abuses is not the solution, its a means though. We are the youth, if only we can come together to form a strong, unifying alliance in a political party with strict human face doctrines.we nEed to start strategizing, let's (watch) and act. I laugh in my wife's dialect- Swahili! Lehehehehehehehee! Mercy, everybody has his/her own price. I won't join to blame your friend. Besides who is he in comparison with what uncle Reuben Abati and uncle Nuha Ribadu USED to stand for? Thank you my sister. You have said it all we must begin to match our talk with works, taking a proactive stand for change is the way forward talk is cheap. We have the power and population to form, propagate and institute change as oposition or as card carrying memebers of any party. There is no limit to what we can achieve.